If you are interested in learning more about how to establish a fund and would like to discuss the process, please contact us at (877) 253-4380 or talk to a member of the SCACF Board. The Sauk Centre Area Community Foundation (SCACF) offers a wide variety of services to donors, professional advisors and nonprofits in the Sauk Centre area. In addition to a general fund to support grantmaking in the area, SCACF provides a variety of fund options, from donor directed and donor advised funds to nonprofit agency endowments. The Sauk Centre Area Community Foundation strives to be known for making impactful grants, fostering a spirit of innovation and collaboration and contributing to a real sense of community pride for those with ties to Sauk Centre. The Sauk Centre area community will be a vibrant, progressive community with opportunities for all generations to come. Designated Funds: Direct your grant to a specific, established charity. Donor Advised Funds: Recommend your grant go toward a specific, established charity. Unrestricted Funds: Allow the local SCACF board to direct your grant to meet the needs of the community. 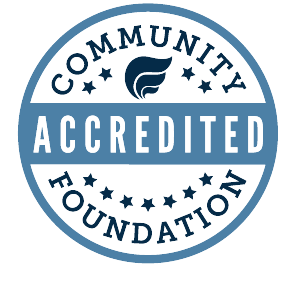 Learn more about how you can establish a fund at SCACF by contacting us at (320) 253-4380, by talking to a member of the SCACF board or emailing SCACF@communitygiving.org. For inspiration for your own fund, look to some of our donors’ Legacy Stories, like this one from Sauk Centre. Merle and Kathy Felling opened the first fund for SCACF on Dec. 31, 2015. As owners of Felling Trailers, Inc. since 1974, Merle and Kathy strive to be good examples for their own children and are instilling philanthropic values in the next generation. Their fund benefits various charities and organizations in the area, from churches and schools to CentraCare Health – Sauk Centre and Camp Hill Village, among others. Apply For Sauk Centre Area Community Foundation . . .
For listings of competitive grant opportunities, please visit the grant page and search for grants which may apply to your organization. Specific criteria, grant guidelines and grant application forms are provided for each grant opportunity. Through CommunityGiving, there are a number of scholarships Sauk Centre area students have access to and other scholarships directed at central Minnesota students, both high school and college level! View scholarship opportunities here; applications open December 1. A group of Sauk Centre leaders initiated plans to find a partner to develop a charitable foundation for our community in the early summer of 2015. The official partnership between the Sauk Centre Area Community Foundation and CommunityGiving began in December of 2015.